As a legislator, my job requires that I travel around the country a lot to see what’s happening in different communities and provinces. One of the highlights of my travels is I get to experience first-hand our beautiful culture and diverse traditions. I always come home learning something new and appreciating our country even more. 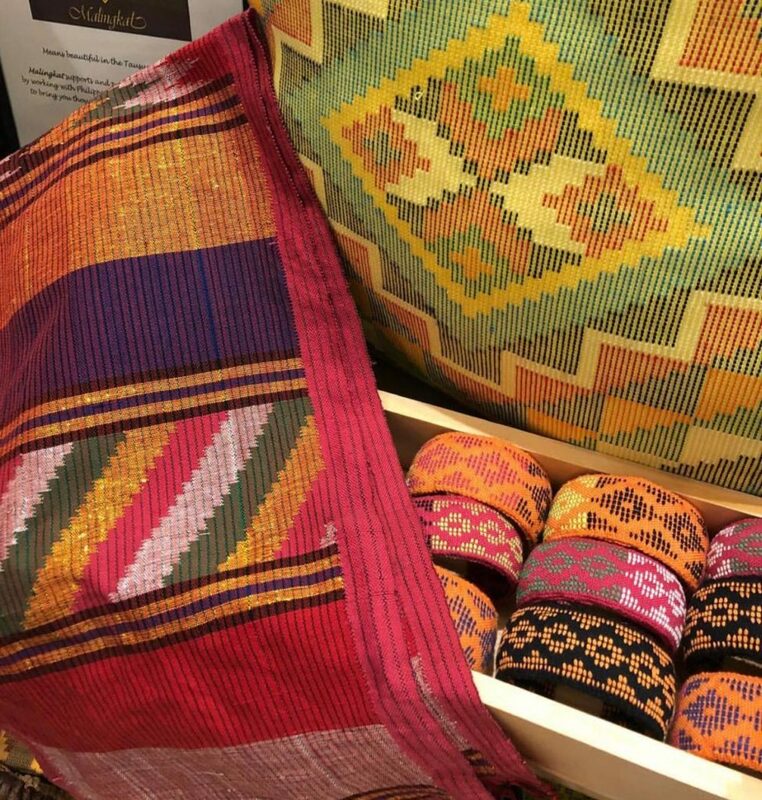 I’m especially attracted to indigenous woven fabrics, and the Philippines has some of the most exquisite ones this side of the globe. The unique motifs and intricate patterns are a testament to the artistry and creativity of our talented weavers. More importantly, these handwoven textiles tell the story of a tribe and its people – their identity, way of life, beliefs, customs, and practices. I met Evelyn Hamja at the Yakan Weaving Center during my trip to Zamboanga City. 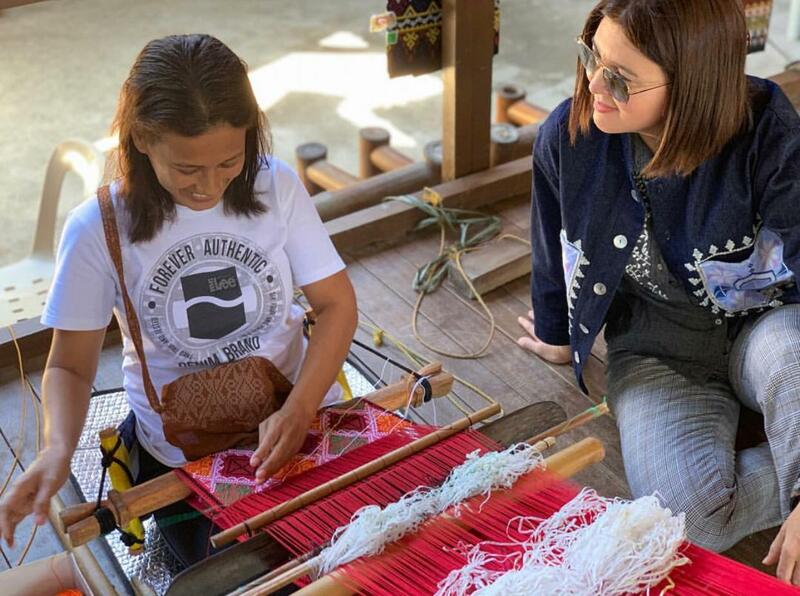 She’s a fourth generation Yakan weaver, who started weaving when she was only seven years old. Mesmerized by the movement of hands and threads on the loom. The Yakans are one of the Muslim ethnolinguistic groups in Mindanao mostly residing on the island of Basilan and Zamboanga City. 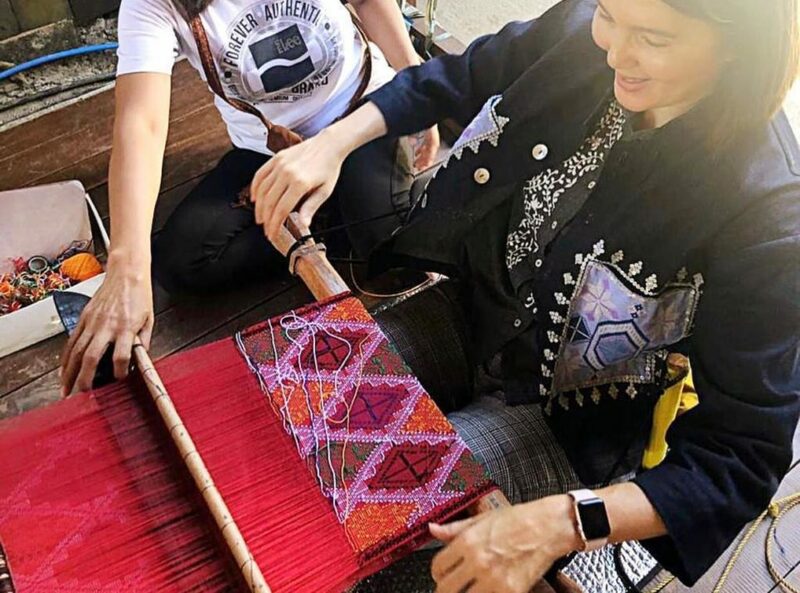 They are also one of Mindanao’s famed weaving communities, and are known for using vibrant colors and geometric patterns inspired by their natural surroundings. Traditionally, weaving is the work of women in the tribe and is passed on from one generation to the next. Mothers usually teach their daughters the art of weaving as soon as they are able to use a loom, like how Evelyn learned. Trying my hand at backstrap loom weaving. Challenging but relaxing. In recent years, interest in indigenous fabrics and the art of handloom weaving has been greatly increasing. A growing number of entrepreneurs and designers are incorporating local weaves for contemporary use and design. This is a welcome development as it showcases our rich weaving traditions and gives sustainable livelihood to weavers, who are mostly mothers. 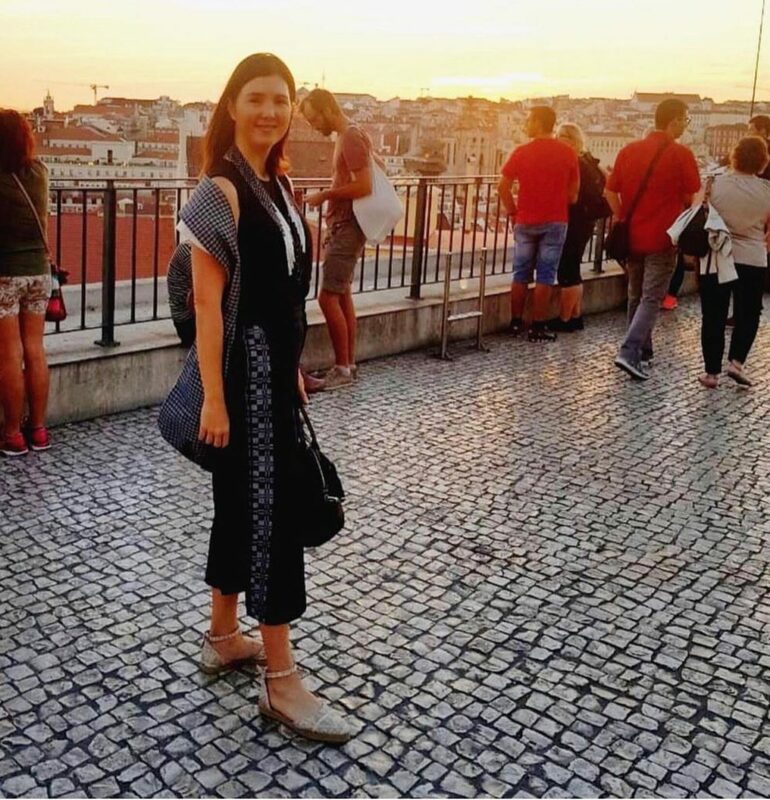 Wearing a part of home wherever I go – my favorite Yapak Pinay sandals with Yakan fabric, handwoven scarf from Anthill Fabric Gallery, and pants from Nina Inabel. 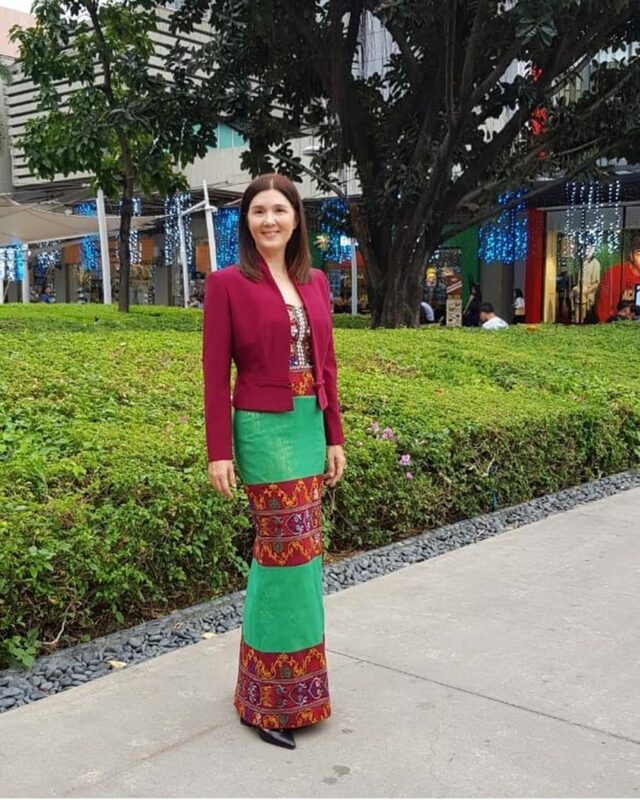 Fashioned a beautiful Maranao fabric into this lovely ensemble designed by OJ Hofer. My work bag’s all handmade and handwoven – basket weave bag with Tausug pis. Indigenous weaving is an important and beautiful part of our culture, and something we should all be proud of. A piece of handwoven textile not only tells a story, but also comes with a lot of love from the weaver who spent hours on the loom to share a part of their heritage with us. Dr Jose Rizal, hero. Coming soon to a Liquor Store near you. For those who want to join in on the fun, it’s not too late. Just lace up, head out the door and start running. I thought it might be a good idea to encourage more people to stay fit throughout the most tempting season. After the recent hijacking incident involving a military official who hijacked a bus load of foreign nationals and some Filipinos, another public uproar emerged when his casket was draped with the Philippine flag. I had twitted that I was of the view that this was inappropriate. 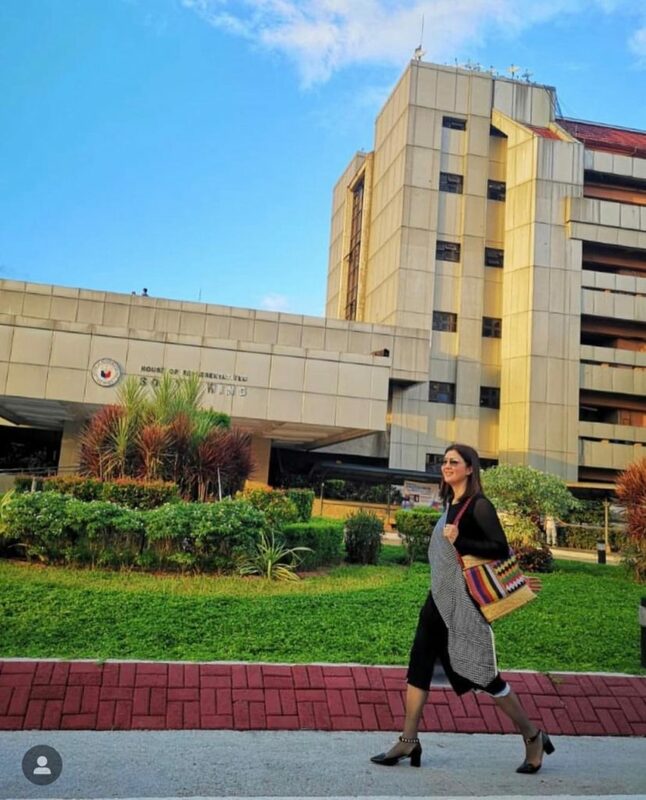 PDI further quoted Director Leocadio Santiago Jr., the chief of the National Capital Region Police Office saying that they did not give the Mendoza family the flag, but that if the family draped his coffin with a flag, they could not forbid it. The respect that must be accorded our Philippine flag, which the law states “embodies our national ideals and traditions” is blatantly disregarded when the flag is draped over the casket of a person who caused the loss of lives of innocent people. To do so would be a distortion of our ideals and values as a people. Likewise, Captatin Mendoza, cannot be considered an honored dead of the military. Consequently, the Philippine flag should not have been draped over his casket. After my conference in Geneva, I flew to London. I had requested the Philippine Embassy to set-up a dialogue with the Pinay OFWs, particularly the nurses. I have been working on our problem brought about the migration of our health professionals and knowing that we had a large number of nurses in the UK, I wanted to meet them. Before the meeting, I chatted with Ambassador Lagdameo who is an old friend of my mom and dad. He knew my parents when they were still studying in the University of Michigan and actually gave me my very first present when I was born! Imagine that. It was a delight chatting with him. I asked him and Con Gen de Vega about their visit to the queen where the ambassador presented his credentials and they had to bow and curtsy 3x in keeping with protocol. I was delighted to be among such an empowered group of Pinays! Among others, the group included a nurse, teacher, businesswomen, solicitor, domestic worker, chef and urban planner. We had a lively discussion at the Embassy. Ambassador Lagdameo and Consul General Tess de Vega welcomed everyone. I began by giving the women a background of the issues affecting women and why I believe legislation and policies still need to be improved. I talked to them about the Magna Carta of Women. I also mentioned the Millennium Development Goals and the salary standardization law (see my previous blog on the discrepancy between the salaries men and women. I explained my work in the Inter-Parliamentary Union (IPU), where I currently am the President of the Women Parliamentarians. For this talk, I focused on migration issues and how migration affects both the OFWs and the families left behind. I emphasized the need to create more programs directed at the social impact on OFWs and their families. After my talk, we had an open forum to give the women a chance to air their views and concerns. Many of them spoke of the long hours they endured to send money back home. Many worked 2-3 jobs! But despite the long hours, they felt rewarded and fulfilled in their ability to improve their standards of living and provide for their families. They also spoke of the difficulty of being away from their families, the frustration of not getting the support and understanding they needed from loved ones back home. Many nodded their head, when one woman spoke about the despair of working so hard and yet feeling unappreciated. They were a hardy happy set of women, confident about the lives they made for themselves in the UK. They spoke of improving their support system for newcomers to help them adjust to the lifestyle in the UK and the need to encourage Pinays to get better by getting a better education. The next day I went to the Financial Learning Campaign sponsored by the Central Bank and the Philippine Embassy. I think this is a great program and committed my support for continuing financial literacy programs for the OFWs and their families back home. In between those meetings, I was able to visit a few historic sites including the Tower of London and West Minister Abbey. I am an enthusiastic student of history, including English history. And I was thrilled to visit the places, I had only read about in the past. I have always believed that we can learn a lot if we look back into history. Suffice it to say, at a time where women were subservient to men, England had a succession of Queens that ruled the land. Each of these Queens have their own stories to tell. I’ve been reading about the lives of queens, including Queen Katherine of Aragon (first wife of King Henry VIII), Queen Mary and her sister Queen Elizabeth (daughters of King Henry VIII). If I can find the time, I hope to blog about my thoughts on the lessons we can learn from the women and the Queens of England in 15 and 16 century England. Every year I am asked why do a run to celebrate women’s month? My answer is because running is empowering. We gain strength and confidence in the company of other women. We feel good when we run. We may be tired, but when we finish our run, we feel accomplished, proud and happy! A lot of women are scared to run for the first time or to run a longer distance, but when they do, the feeling is indescribable! And it shows in their smile! I know, because I’ve felt this many times. 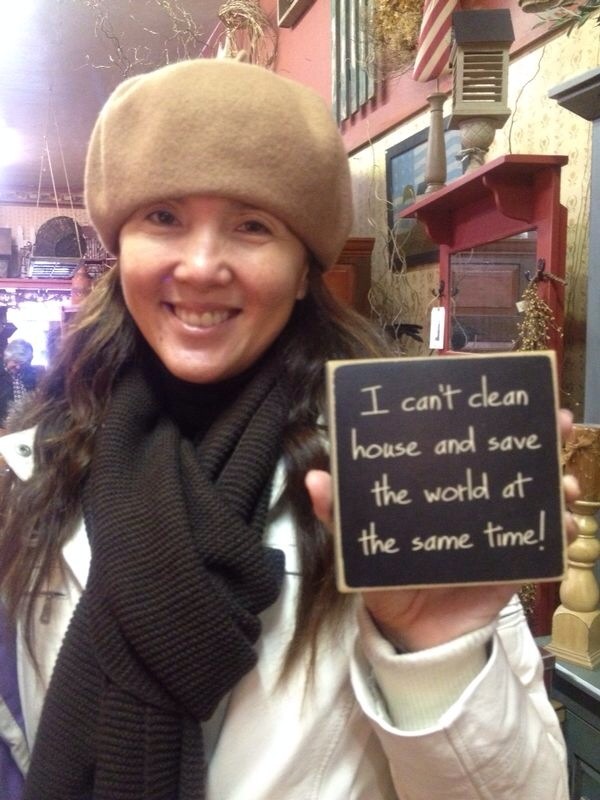 And last Sunday, women came up to me telling me the same thing. Whether we are moms, wives, daughters, professionals, employees, students or young girls, we should be proud of who we are. We should never be scared to pursue our dreams (see my related article Phooey to Limitations, Yes to Possibilities). No one should tell us we are not capable of doing something because we are women. On the contrary, because we are women, we shall excel! As a mom, I want my girls to have good role models. I want them to be inspired. I want them to meet trailblazing women who beat the odds. At the Pinay in Action Run, I saw lots of these women. And I am so happy my daughters saw and met them too. Did you enjoy your run? 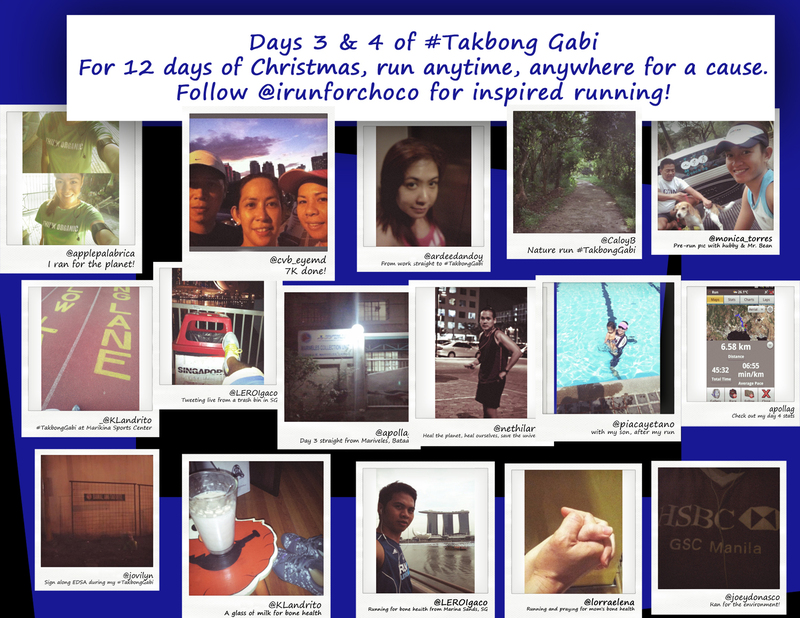 Were you inspired by other women runners? 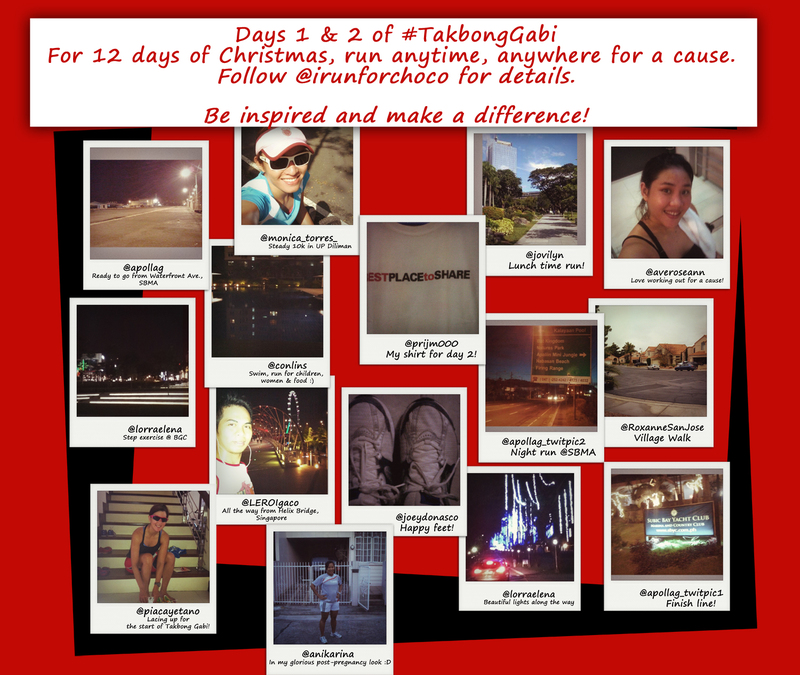 I’ve posted the links of some of the blogs about the Pinay in Action run. I enjoyed reading their stories. If you have a story to share, we would love to hear about it . On Sunday, March 29th, my alarm clock went off at 4:45 AM to wake me up and hub and iPatch and VGood and Nate. At the end of the run, we gathered near the stage and awarded the winners (list of winners are on pinayinaction.com. Participants and spectators also took time to visit the different booths that were set up for various causes close to women such as the breast cancer detection booth set up by my friend Dr Cecille Montales, cervical cancer by GlaxoSmithKline, violence against women by Women’s Media Circle and various health products for women. After the awarding, I headed home, went to church and gave thanks for this day.